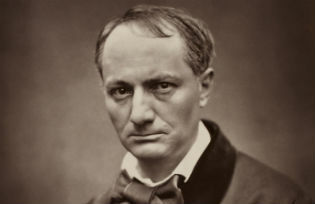 Charles Baudelaire's poetic masterpiece, Les Fleurs du mal, underwent extensive reworking between 1857 and 1868, as did the French capital in which he was writing. Daniel Finch-Race explores the ecopoetic implications of such upheaval in 'Le cygne', a poem torn between antiquity and modernity. ‘Le cygne’ is the eighty-ninth poem in Les Fleurs du mal and the fourth piece in the ‘Tableaux parisiens’ series, created for the second edition of the work in 1861. The bipartite piece is the only poem of the section to feature a titular non-human protagonist, and is the first of three sequential poems addressed to Victor Hugo in exile. The first part focusses on the narrator’s regret at the destruction of the quartier du Doyenné to make way for the Carrousel, while the second envisages the challenge of finding bearings in the ‘new world’ of industrialised Paris. The eponymous swan, like the narrator, is perturbed by the topographic changes in the cityscape, evoking a sense of disconnection from its surroundings as an exile from its natural home (a feeling further underscored by the invocation of Andromache and a host of other displaced human figures as the piece progresses). The non-human protagonist has its transcendent appeal tarnished, moreover, by the dirty reality of the modern cityscape, and is tormented by memories of its extra-urban existence, in turn highlighting the melancholic unease of the narrator in his sophisticated environment: he does not wish to forget the previous incarnation of Paris (free from the trappings of industrialisation), wherein he felt more at ease. Permanence is lexically and thematically juxtaposed against transformation, making this a piece of transition not just from the old form of the metropolis to a new one, but also from one style of poetry (verse) to another (prose). The work of the ‘demolition-artist’ Haussmann occupies most of the first part of ‘Le cygne’, in a sketch of chaotic modernisation from the narrator’s memory, throughout which the traditional incarnation of the alexandrine line is often subverted. Divergence from established poetic models (especially from the classical precepts of Victor Hugo) is evident in both Baudelaire’s irregular versification and the presentation of the narrator as a wandering exile. The debris of progress disquiets him: ‘Ces tas de chapiteaux ébauchés et de fûts’ (10). His unease at the memory of abandoned, fragmented building materials is emphasised by the rich rhyme between ‘fûts’ (10) and ‘confus’ (12), compounding the sensation of haphazard disposal. An acute sensation of metropolitan displacement is reinforced, moreover, by the contrast of old and new at the beginning of the second part: ‘palais neufs, échafaudages, blocs,/Vieux faubourgs’ (30-31). The impression of chaotic urbanity is embodied in the disconcerting versification, as well as in the imposing presence of construction work, since the pentasyllabic noun (‘échafaudages’ (30)) blights the line in the same way as its physical incarnation would have affected the Parisian skyline. The sensation of the narrator’s faculties being rendered suddenly ebullient as he traverses the area near the Carrousel is reflected in the irregular versification, such that the exclamation of the seventh line, wherein it is claimed that old Paris no longer exists, could be interpreted as also applying to outmoded prosodic conventions. The rhyming associations of the stanza, moreover, are particularly loaded: the pairing not only of ‘fertile’ (5) and ‘ville’ (7), but also of ‘Carrousel’ (6) and ‘mortel’ (8), evokes the trappings of urbanisation, suggesting the unsustainable proliferation of the cityscape and the merry-go-round ambitions of humanity. Such implications are pursued in the fourth quatrain, in which the diminishment of nature is pointedly foregrounded by the rhyme between ‘cieux’ (14) and ‘silencieux’ (16) because the visual suggestion of a rich rhyme is shown to be fallacious when syllables are counted. The hopelessness of the silent skies, from which the possibility of revivifying communion with the nature is absent, is thus augmented. The trisyllabic anaphora at the beginning of the twenty-fifth and twenty-sixth lines emphasises the ‘cruelty’ of the sky at the conclusion of the first part, complementing the sensation of ecological balance having been upset, also evoked by the rhyming similarity of ‘silencieux’ (16) and ‘Dieu’ (28). The swan inaugurates a ‘strange and fatal’ mythology, whereby Ovid’s Metamorphoses are urbanised into tales of souls dispossessed in their own cities. This evocation of dispossession and ecological depletion allegorises the quasi-desertification of the setting, particularly given that the hope of revivifying inspiration, of invoking the epic world and its ‘heroic’ poesis in a redemptive gesture, is but a distant echo in the ‘forest’ of memory. Is the final suggestion, therefore, that Paris has become a desert of exiles, grinding to a halt because of a lack of environmental sensitivity? At the close of the piece, the narrator finds himself on the overtly allegorical bank of a dry stream, vainly awaiting rain in a post-industrialisation wasteland. It is hardly surprising, ultimately, that both the human and non-human protagonists of this key work in the ‘Tableaux parisiens’ are perturbed by their surroundings, considering the hotchpotch of building work and demolition in which they are immersed. The signs of fragmentation and abandonment, especially of old traditions and landmarks, evoke the ‘ordered chaos’ of Haussmannisation: the haphazardness of the cityscape is particularly stark in ‘Le cygne’, infusing Paris with a feeling of chaotic confluence for both human and non-human presences, especially in regard to the stream-of-consciousness presentation. The rapid enumeration of situations and figures at the close of the piece augments, in fact, the sensation of different worlds and entities bustling together at breakneck pace through the cityscape. Foreshadowing his virtuoso prose musings in Le Spleen de Paris, Baudelaire pushes the limits of poetic convention in Les Fleurs du mal to highlight the overly accelerated existence of the inhabitants of the nineteenth-century French capital. Daniel Finch-Race is a Research Scholar at Trinity College, Cambridge. His chief interest is in nineteenth-century French ecopoetics, with particular focus on Baudelaire’s later verse poetry.